In Apr-13, the Medicines and Healthcare products Regulatory Agency (MHRA) successfully prosecuted an individual for manipulating pre-clinical analytical data. 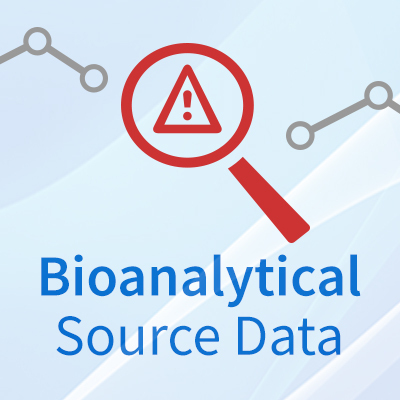 Following identification of irregularities in the bioanalytical data, the MHRA was notified and the following investigation identified that the individual had selectively reported analytical data over a number of years dating back to 2003. The significance of this prosecution was huge within the Contract Research Laboratory world but also within the world of quality. From a quality perspective, the key issue in this case was that the quality checks, as well the audits conducted on the data, had not been robust enough to identify the data manipulation earlier. Auditors are always trained to audit from source, but do they always know what that means when they are provided access to source data? Do they understand what it is that they should be checking in order to provide assurance that the data reported has not been subject to unnecessary manipulation or even deliberate misconduct by omission of data? Any data generated from any instrument should be considered the source data and as such before any integration or manipulation of data from an instrument, a secure un-editable copy must be retained. Sadly, in my experience as an auditor I have witnessed several instances where data has been altered or manipulated and reported as the raw source data. Examples include samples under investigation having been re-analysed at the end of a run and the data from the result had been repositioned in the run and relabelled to be used as a Quality Control (QC) sample. A similar instance was where the data reported from the instrument was not secure and an analyst was able to copy the result from one sample and insert the same result against a different sample. There have been instances where not all the blank samples run after high QC samples and high calibration standards have been reported. This may be down to naivety of the analyst in that they did not think it necessary to report blanks if no peak was detected. Alternatively, not reporting blanks could be for a sinister reason and the individual is trying to hide carryover. The last example of suspicious data is regarding integration of peaks where I have witnessed instances where QC or calibration sample peak areas have been individually or manually integrated in order to provide a peak area which would allow the QCs and calibration standards to be within acceptable pass limits. All of these examples of misconduct are very easily detected if you know where to look. The auditor or QC checker should always look to see if all samples which have been injected are reported. Look at the run times for any unexplained delays between injections or out of sequence times. Look at the sample position number during the run and whether any samples have been injected from multiple times but labelled differently. Finally, look at the audit trail for sample integration to see if any specific samples such as QC or calibration samples have been reintegrated multiple times.